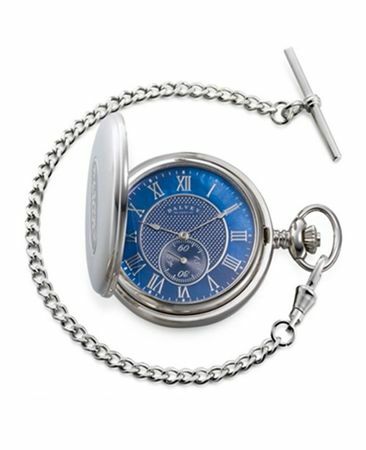 Order your Dalvey Full Hunter Mother of Pearl Pocket Watch - Black/Blue today from FahrneysPens.com. Fine Pens, Refills & Luxurious Gifts – great prices & fast shipping. An ideal accessory for the discerning modern gentleman, our newest Dalvey timepiece offers a striking design incorporating a richly-textured, meticulously-detailed dial in blue or black mother-of-pearl. 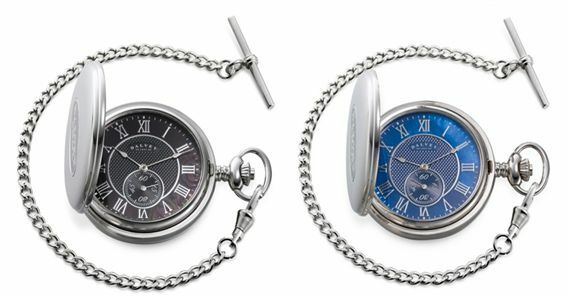 The Full Hunter Mother-of-Pearl pocket watch features a polished steel fob case, precision mechanical movements with 17 jewels, Roman numerals, second hand and quartz movement. The spring-action lid protects the watch, and pops open at the press of a button. 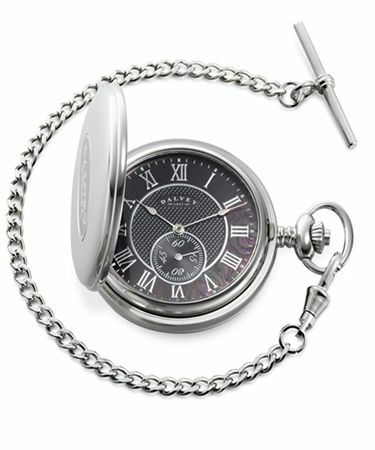 Presented with a steel pocket watch chain in a handsome Dalvey gift box. Specify blue or black dial.